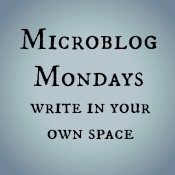 Linking this to #Microblogmondays. Before proceeding with this post, let me explain micro blogging. It's a short post between 1 word to 8 sentences long. #Bahubali has been the trending topic this week. I am not a big fan of SS Rajamouli, but loved his Telugu movie 'Eega' very much. Many critics praised that Bahubali is above heroism(unlike other Telugu movies) and stunning visualization enhanced the impact. Many weren't satisfied since movie ends without a conclusion and makes the fans to wait for part 2. Meanwhile, did Bahubali meet your expectations? To choose happiness or not, Choice is yours..